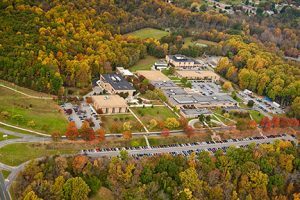 Central Virginia Community College serves more than 228,000 people within the Region at campuses located in Lynchburg, Amherst, Appomattox and Bedford. In addition, CVCC provides local business and industry with unique educational and training opportunities. CVCC is one of 44 colleges in the U.S. approved to award federal Pell Grants to qualifying high school students. Through CVCC’s Early College Program, high school juniors and seniors can earn a high school diploma and an associate of arts and sciences in general studies from CVCC simultaneously. The program also is open to home school students. CVCC has transfer articulation agreements with public and private colleges in Virginia and other states. 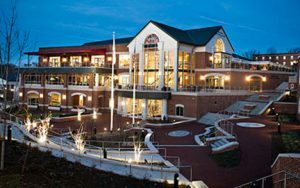 In only four short decades, Liberty University has grown to become the largest private, nonprofit university in the nation and the largest university in Virginia. Liberty was ranked No. 3 of the 2017 Best College Campuses in America by Niche.com and No. 1 for Best Online Campuses in America. Liberty was also named the No. 1 Most Conservative College in America and was ranked No. 8 for Best College Dorms. Liberty University Online also ranked 24th of the “50 Best Online Colleges for 2017” by thebestschools.com. Liberty provides an educational experience with a solid Christian foundation to students from all 50 states and more than 80 countries with 500 programs of study, state-of-the-art facilities and technology. The same course offerings are available online. The College will change its name to University of Lynchburg in July. Lynchburg College is a private, independent, residential college located on 250 acres in the heart of Lynchburg. One of 40 colleges nationwide to be included in Colleges That Change Lives, Lynchburg College is ranked by U.S. News & World Report in the top tier of southern colleges and universities offering a full range of undergraduate and master’s degree programs in the “Best Regional Universities” category. The College has been twice selected as one of 100 colleges nationwide for the John Templeton Foundation’s Honor Roll of Character-Building Colleges. Lynchburg College offers undergraduate, graduate, and pre-professional programs, all supported by a strong liberal arts foundation. Founded in 1842, Mary Baldwin MBU is a small, coeducational university offering a range of degree programs from bachelor to doctoral. A cutting-edge health sciences campus, programs for online study and regional advising centers throughout Virginia are also part of the university. With the opening of the college of health sciences in 2014, MBU established one of the first dozen doctoral programs of occupational therapy in the nation. MBU also offers special residential programs open only to women, including the Program for the Exceptionally Gifted and the Virginia Women’s Institute for Leadership. Randolph College is a nationally recognized, private, liberal arts and sciences institution known for its excellent academic programs; global perspective; and diverse, close-knit community. Its students represent more than 36 states and 20 countries. Randolph is consistently recognized by the leading national guidebooks as a quality liberal arts institution. The Princeton Review listed Randolph in The Best 382 Colleges 2018 Edition, naming the College a “Top Fifty Green College” (No.6) and including Randolph in its Top 20 list of “Most Accessible Professors.” Randolph was included in the prestigious Fiske Guide to Colleges 2018 and included in Money magazine’s list of best colleges. Located in the foothills of the Blue Ridge Mountains in Amherst County, Sweet Briar College is consistently recognized as one of the most beautiful campuses in the country. Twenty-one buildings are on the National Register of Historic Places. 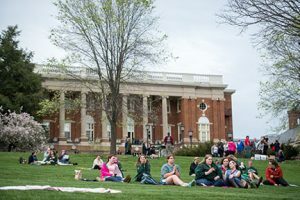 Sweet Briar is one of only two women’s colleges in the U.S. to offer an ABET-accredited engineering degree program and is one of less than 10 percent of U.S. colleges and universities with a Phi Beta Kappa National Honor Society chapter on campus. 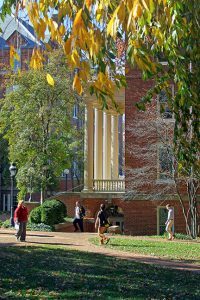 The college is one of 11 Virginia colleges and universities, and the only women’s college in Virginia, to be named to Forbes’ 2016 List of 300 Best Value Colleges and is ranked as a Best Southeastern College by The Princeton Review. Founded in 1886, Virginia University of Lynchburg is the city’s oldest institute of higher learning. A historically black college university, VUL is coeducational and committed to Biblical principles and the philosophy of self-help. A pioneer in the field of African-American education, the school offers students opportunities to develop into able leaders and scholars with bachelor’s, master’s, and doctoral degrees. The 6.82-acre campus includes three historic academic buildings and a monument that comprise a historic district, which is listed on the National Register of Historic Places. A notable VUL graduate is Lynchburg poet Anne Spencer. Virginia Technical Institute, (VTI) provides hands-on training in a variety of fields including electrical, plumbing, heating and air, welding, pipe-fitting, carpentry, masonry, multi-craft industrial maintenance, and project management. High school students and adults have the opportunity to earn a journeyman’s license in a field of their choosing by attending classes two nights a week from 5-9 p.m. VTI uses curriculum from the National Center for Construction Education and Research (NCCER), which is a standardized training process affiliated with the University of Florida. The Institute is also certified through the State Council of Higher Education for Virginia (SCHEV). Liberty University is investing in student success with a nearly $1 billion campus renovation resulting in world-class academic and athletic facilities. Liberty’s Freedom Tower, the tallest structure in the city of Lynchburg is the architectural centerpiece of the campus and the home of Liberty’s School of Divinity, the world’s largest school for religious studies and ministerial training. The building comprises 17 stories with 409 steps from top to bottom. LED lights line the exterior of the building, and a programmable system allows the tower to be lit in a variety of colors. Liberty’s new natatorium is a top-five facility in the U. S. and features a nine-lane, 50-meter pool with a moveable bulkhead that can divide it into two 25-yard pools for short course competition. It has a separate 17-foot deep diving well with a full tower featuring springboards and diving platforms. The new 169,000-square-foot complex stands beneath the illuminated monogram on Liberty Mountain. The track is one of only a handful of indoor tracks in the U.S. to offer a six-lane, 200-meter, hydraulically banked oval with a specially formulated surface. The complex is large enough for a maximum occupancy of 5,000, including 2,500 or more athletes. Designed to be the central hub for Liberty Athletics, the Athletics Center integrates academic study areas with state-of-the-art facilities for short- and long-term rehabilitation, strength and conditioning. The 6,000-seat project will provide seating for 25,000, and the expansion will usher in a new era of Flames Football as Liberty competes as an FBS independent program for the first time. “Our vision is to have one of the nicest stadiums in the country,” said Brad Butler, planning coordinator. A new high-tech video board will also be installed in time for kickoff of the 2018 season. Liberty will add a new arena to campus that will accommodate approximately 4,000 people. The facility, slated to open in 2020, will be attached to the Vines Center and primarily used for volleyball and basketball games.